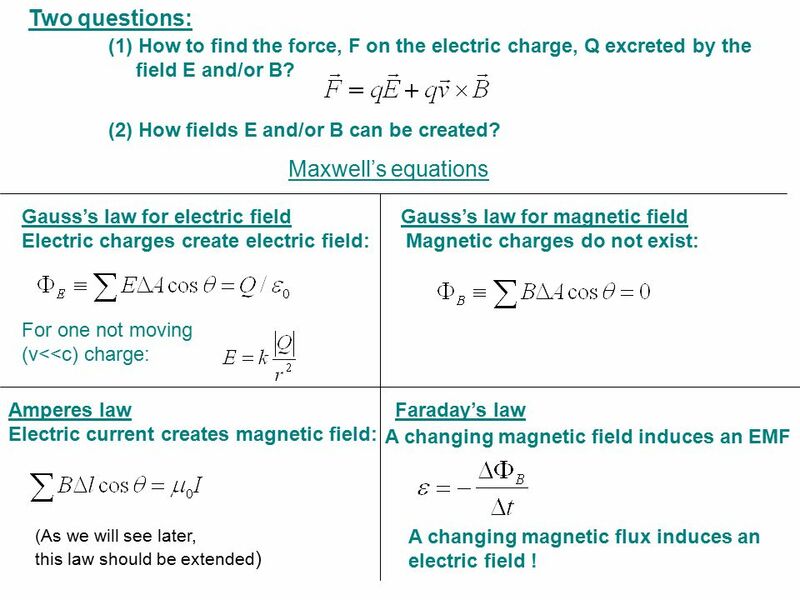 Two questions: (1) How to find the force, F on the electric charge, Q excreted by the field E and/or B? (2) How fields E and/or B can be created? 1 Two questions: (1) How to find the force, F on the electric charge, Q excreted by the field E and/or B? (2) How fields E and/or B can be created? Maxwell’s equations Gauss’s law for electric field Electric charges create electric field: Gauss’s law for magnetic field Magnetic charges do not exist: For one not moving (v<<c) charge: Amperes law Electric current creates magnetic field: Faraday’s law A changing magnetic field induces an EMF (As we will see later, this law should be extended) A changing magnetic flux induces an electric field ! 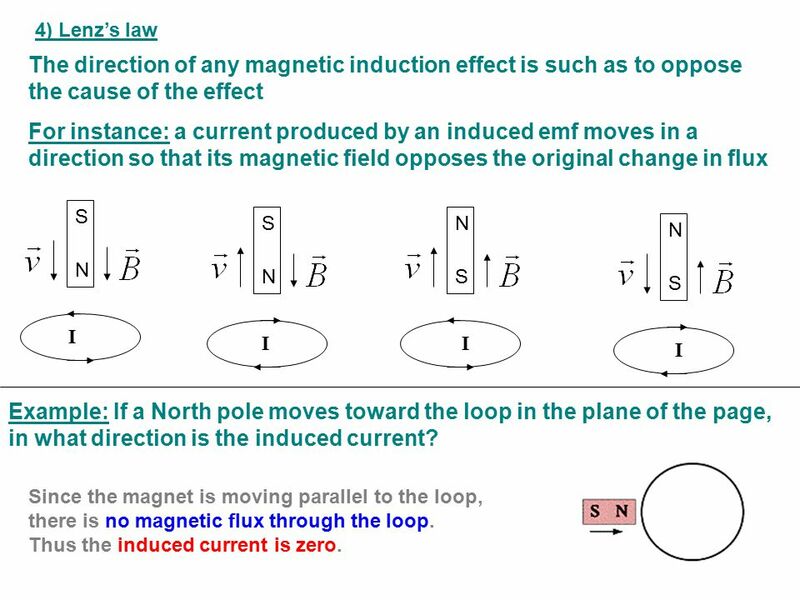 3 4) Lenz’s law The direction of any magnetic induction effect is such as to oppose the cause of the effect For instance: a current produced by an induced emf moves in a direction so that its magnetic field opposes the original change in flux S S N N N N S S I I I I Example: If a North pole moves toward the loop in the plane of the page, in what direction is the induced current? 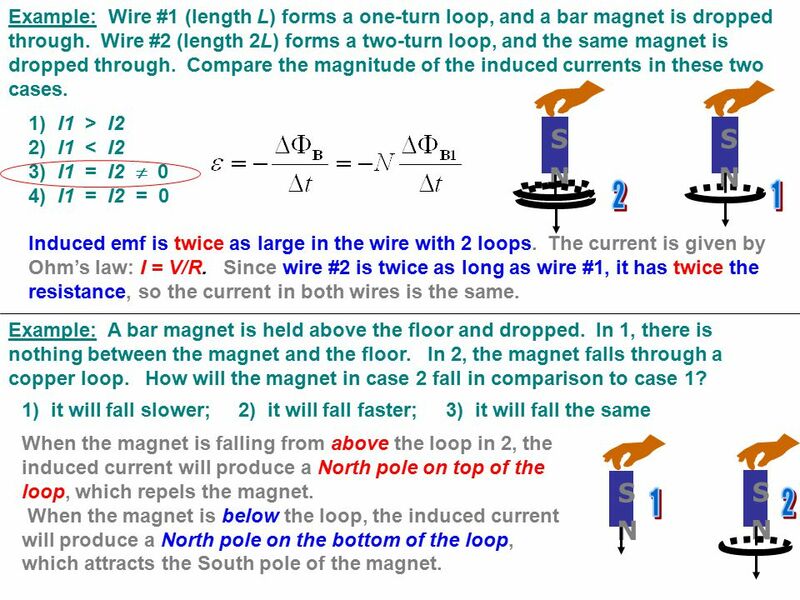 Since the magnet is moving parallel to the loop, there is no magnetic flux through the loop. Thus the induced current is zero. would you have to do? 1) drop the magnet move the magnet upwards move the magnet sideways all of the above only (1) and (2) Moving the magnet in any direction would change the magnetic field through the loop and thus the magnetic flux. 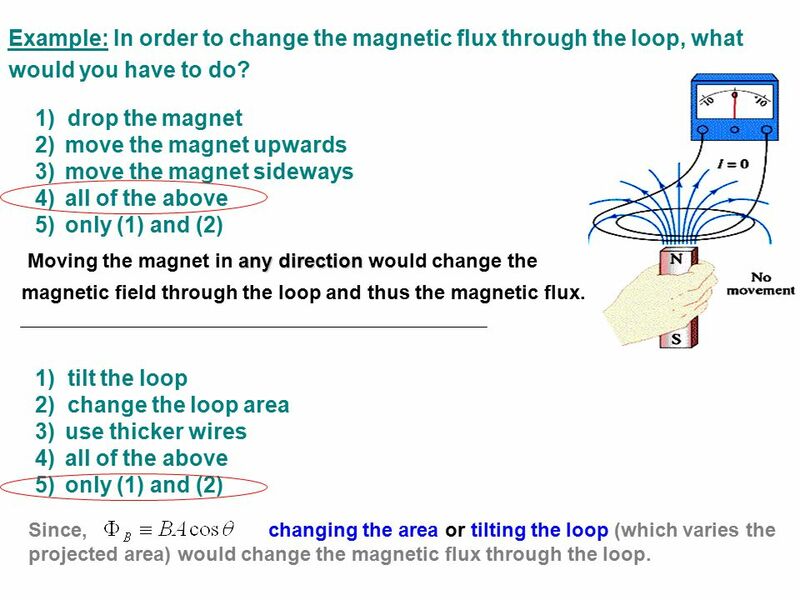 1) tilt the loop 2) change the loop area use thicker wires all of the above only (1) and (2) Since, changing the area or tilting the loop (which varies the projected area) would change the magnetic flux through the loop. 7 Example 3: A 12.0-cm-diameter wire coil is initially oriented perpendicular to a 1.5 T magnetic field. The loop is rotated so that its plane is parallel to the field direction in 0.20 s. What is the average induced emf in the loop? 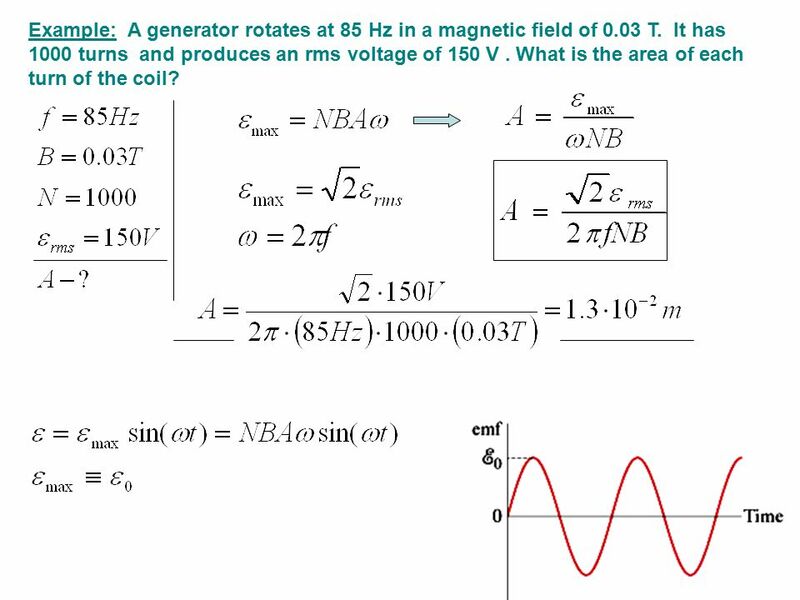 Example: A generator rotates at 85 Hz in a magnetic field of 0.03 T. It has 1000 turns and produces an rms voltage of 150 V . What is the area of each turn of the coil? Download ppt "Two questions: (1) How to find the force, F on the electric charge, Q excreted by the field E and/or B? (2) How fields E and/or B can be created?" TOC 1 Physics 212 Electric Flux and Gauss Law Electric Flux Gausss Law Electric Field of Spheres Other Gaussian Surfaces Point Charges and Spheres. Charging by contact and by induction Gr 9 Science. R3-1 Physics I Review 3 Review Notes Exam 3. R3-2 Newton’s Law of Universal Gravitation. Wednesday, January 14 Coulomb’s Law Electric Fields. Electricity Electric Flux and Gauss’s Law 1 Electric Flux Gauss’s Law Electric Field of Spheres Other Gaussian Surfaces Point Charges and Spheres. 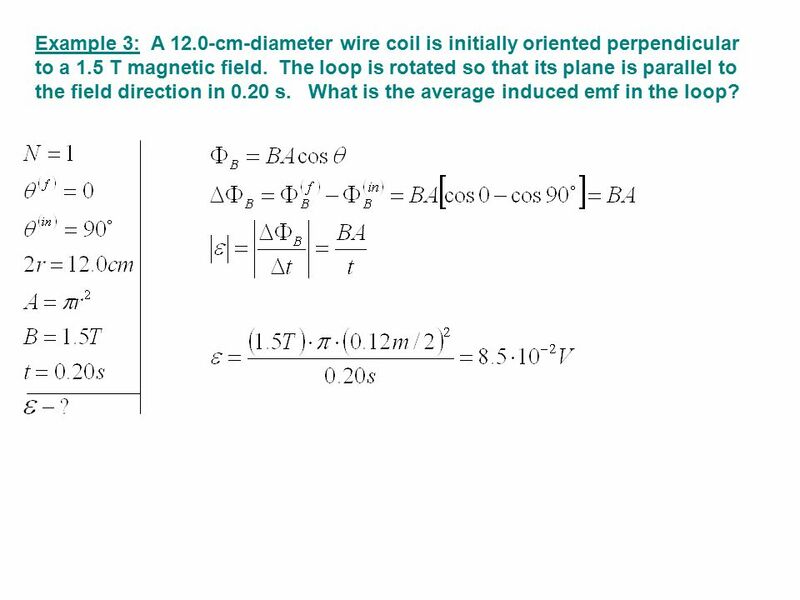 19-1 Physics I Class 19 The Electric Field What Is a Field? 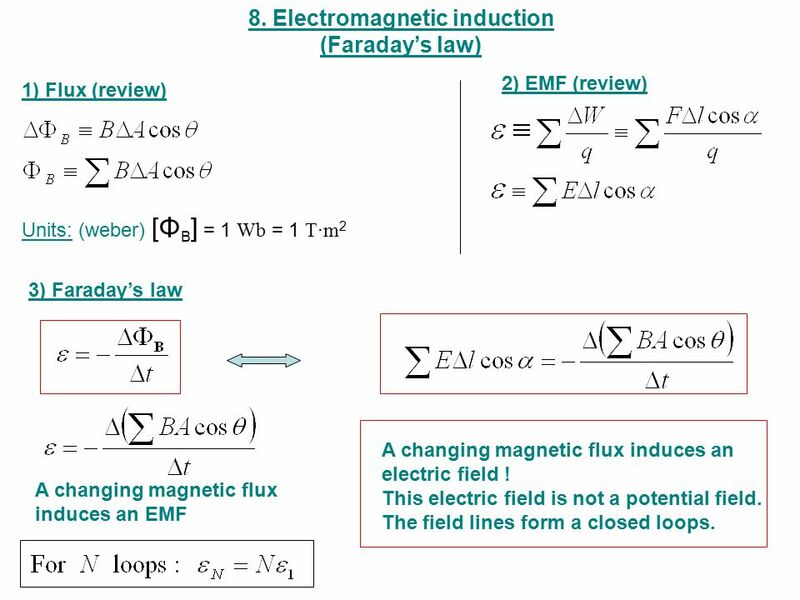 8/5/08Lecture 2 Part 21 Maxwell’s Equations of the Electromagnetic Field Theory Gauss’s Law – charge makes an electric field The magnetic field is solenoidal. Lecture 19 Exam II Average: Lecture 19 Today Brief review of Electrostatics (I) 1.Maxwell equations 2.Charge and current distributions. 21-1 Physics I Class 21 Thinking About Electric Fields and Electric Potential. 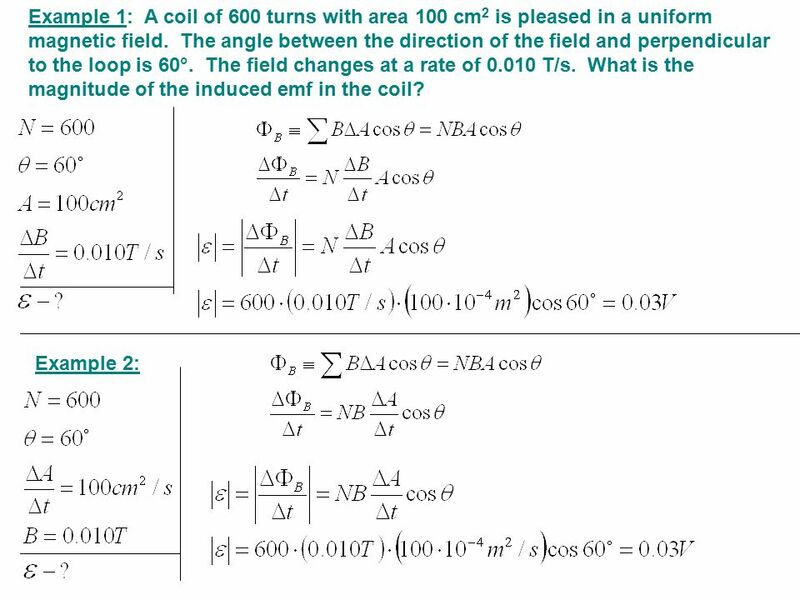 20-1 Physics I Class 20 The Electric Field What Is a Field? Electrostriction Effects During Defibrillation by Michelle Fritz Oakland University SMaRT Program July 28, 2006. 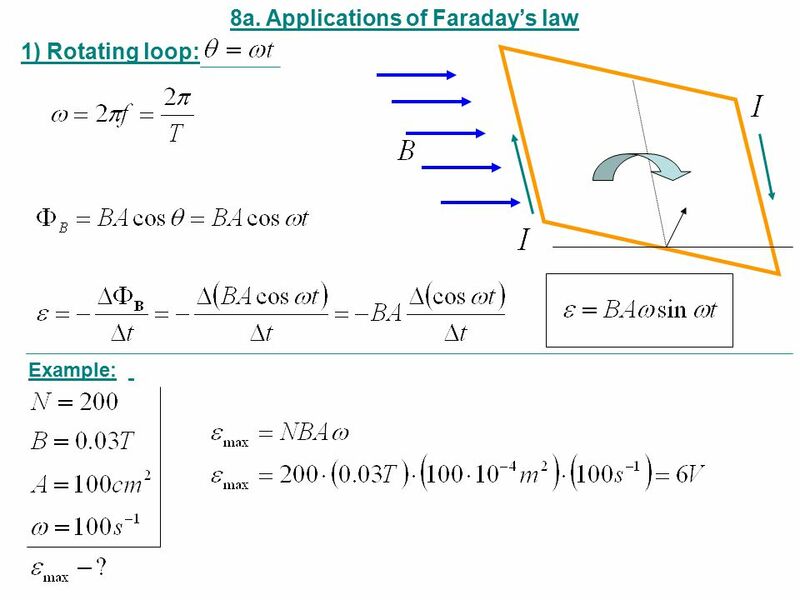 Outline Applications of Gauss’s Law - The single Fixed Charge -Field of a sphere of charge -Field of a spherical shell -A Line of Charge Conductors and. Hw: All Chapter 5 problems and exercises ”Gravitation cannot be held responsible for people falling in love.“ Albert Einstein.